College can be an overwhelming part of any young adult’s life. It doesn’t matter whether you are a first-generation college student or the tenth generation of your family to go to college; a freshman or a senior; and anything in between. What do you do when you are feeling overwhelmed by college be it your academics, social life, or the part-time job you have on campus? I am hopeful that if you follow these tips, you can cut down on your overwhelmed feelings and get back into being the mildly stressed out college student we all hope to be. I know, you are probably looking at me with a confused look on your face. You are probably tired of blogs on the internet telling you to breathe when you are stressed out, but seriously, taking a few deep breaths can help you out immensely when you are stressed. Get your breathing back in order, think of cute puppies running down the beach at sunset, focus on the beautiful water flowing gently behind them, taste the salt in the air, etc. Well, that’s my happy place at least, yours might be slightly different and involve fewer puppies. The first step to getting over your overwhelmed feelings is to take back your control over your thoughts. Overwhelm sets in when we let our thoughts run amuck, and if you can rein in those thoughts, you can make better decisions. The next thing that you should do is get organized. When we feel overwhelmed, it’s often because we are looking at the entirety of our schedule. It’s easy to feel overwhelmed when everything is on your plate. The things that you do today have a small impact on the future, but that doesn’t mean that you should spend all your time stressing out about what could happen in the future. Instead of looking at the big picture, get hyperfocused on your priorities. What can be done quickly and easily? If this task would take you less than 20 minutes to complete, why not knock it out right now, so it’s off your plate and to-do list. What is due tomorrow? If it’s due tomorrow, you gotta get it done today. What tasks are worth the most points? If you are overwhelmed, you may want to focus on the more significant tasks first. If you have to choose between a task that’s worth 400 points versus a task that’s worth 5 points you should probably focus on the 400 point task if the task points are weighted equally. Prioritize your to-do list so you can make the best decisions and do things in order. Once you pick a task, focus solely on that task. Don’t waste time thinking about the rest of your to-do list. That just pulls you away from what you are doing and makes it harder to focus on what needs to get done. This is why I love the Pomodoro Technique as a method for working. This technique forces me to work on one thing at a time and kick multitasking to the curb! Another thing that brings you feelings of overwhelm is a lot of outside noise. If you are in a noisy environment, chances are you won’t be able to focus, and that will make you feel worse considering the overwhelmed thoughts you already have. Instead of studying in a noisy place like the student center consider burying yourself in a study room in the library, and grabbing a pair of noise-canceling headphones. You want to cut out as much as possible including distractions. Put your phone on airplane mode and let your friends and family know that you will be working on your to-do list for a while. You can usually set up your phone to where certain people’s calls will go through if they call back to back. This is a great way to screen calls that are just wanting to bug you for a bit versus calls that are important. Obviously, you won’t be able to delegate every single thing on your to-do list as a student, but think about what you can delegate outside of school work. You may order Postmates to deliver some food for the night to your dorm, or you may get a friend to drop something off at the bookstore for you so you can stay home and get in the zone. You also need to downsize your pursuits. This year I realized that I couldn’t be involved in everything that I ever wanted to be involved in. You are gonna have to make some sacrifices to make sure that the critical priorities in your life are taken care of. It’s hard to think straight on a few hours of sleep. All of your feelings of overwhelm will be multiplied if you are sleep deprived because you will be suffering from that and the fact that you may be falling behind in class. So, if you can, take a small power nap when you get super overwhelmed. Recharge yourself and get ready to tackle your to-do list. Also, when you get the chance to sleep, sleep for more than just a few hours. Get some solid rest, and you will feel better about the entire state of your collegiate experience. There is this famous quote that has been floating around the internet for a while, the quote reads, “When you feel happy, really happy, it somehow seems that you’ve always been happy and that you’ll always be happy. The same is often true when you feel sad, or lonely, or depressed, or broke, or sick, or scared. Something, perhaps, to remember.” The same is true for any feelings of overwhelm that you may be experiencing in college. When everything in your life is going well, it seems like that’s all you have ever known. Then the second that life is throwing you some curveballs, it seems like that’s all you have ever known. Don’t fall into this trap! All of these feelings are temporary. They don’t last forever, and you should never let them control your life too deeply. If all that advice still doesn’t help, you gotta ask for help. Get help from your family, friends, professors, and even strangers from the internet. So many people have been in your shoes before, and they survived it all. Talk to those people, get advice from those people, and follow the advice that they give you for beating college overwhelm. When you are overwhelmed with college, it can feel like you are all alone. What do you do to stop those feelings so you can focus on the amount of work that you need to do? 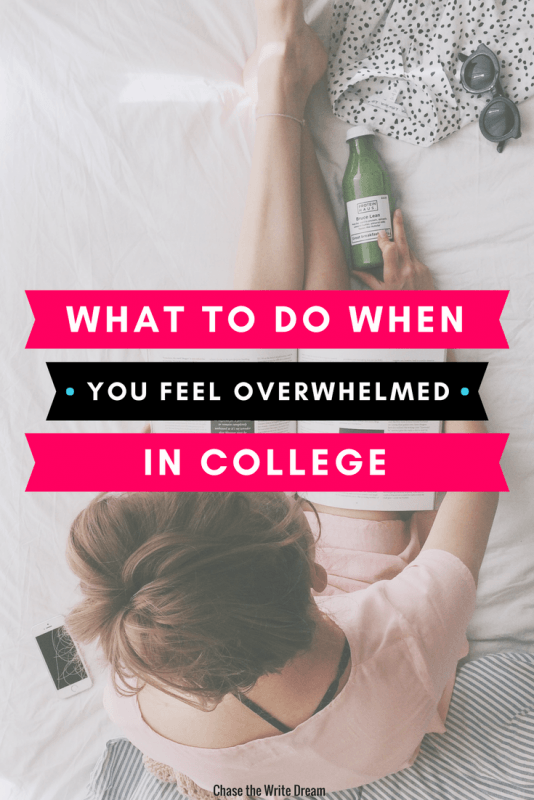 I am hopeful that this post has given you some food for thought on what to do when you are feeling overwhelmed in college. 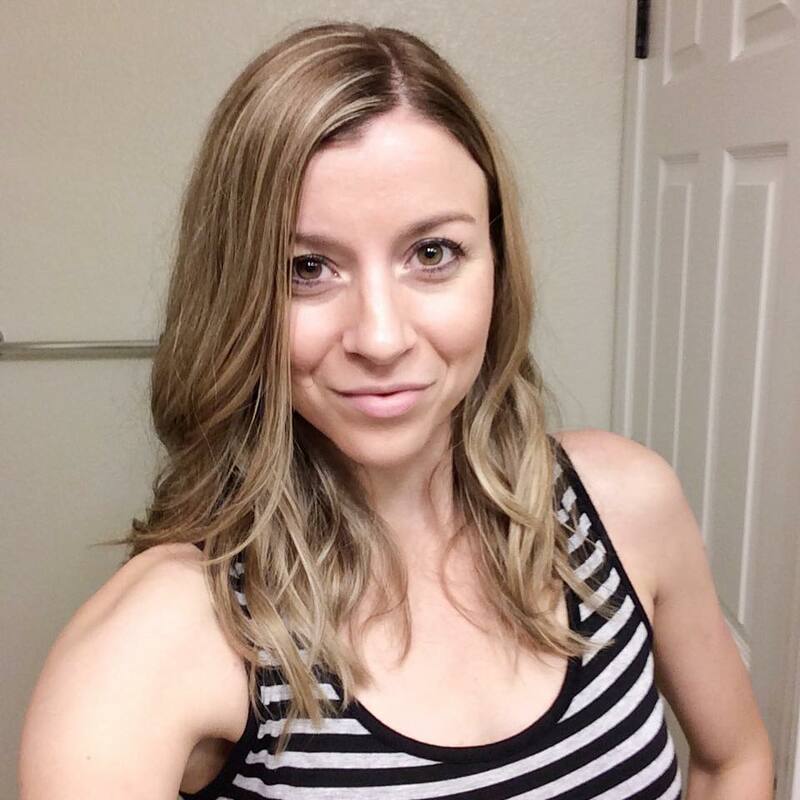 Amanda Cross is a blogger and freelance writer from Arkansas. She recently graduated with a Master’s in Sociology. When she isn’t blogging on her blog The Happy Arkansan she can be found eating, napping, and watching too many videos online.